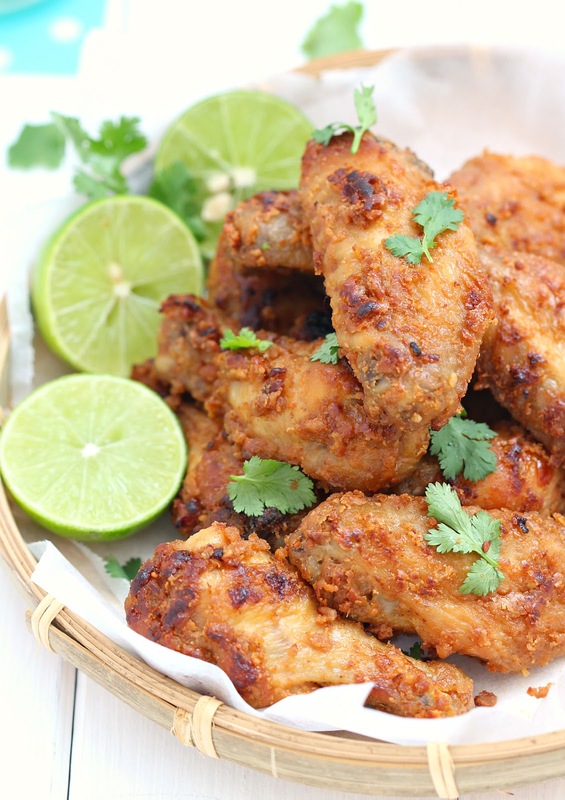 my bare cupboard: Twice-baked Thai-peanut chicken wings "
Anyway , looking for another tasty chicken wings recipe ? Look no further ! These Thai-inspired wings , which taste like a mild grilled satay are easy to make with big flavour payoff . Because these wings are baked not deep-fried so less mess to clean up afterwards . I'm pretty sure that most ingredients are already in your kitchen pantry . I added some Thai chilli sauce for a kick because you can never go wrong with it . * Rinse and pat dry wings thoroughly , season with coarse sea salt , set aside for an hour . * Place grill 4-inches / 2nd rack from the top . 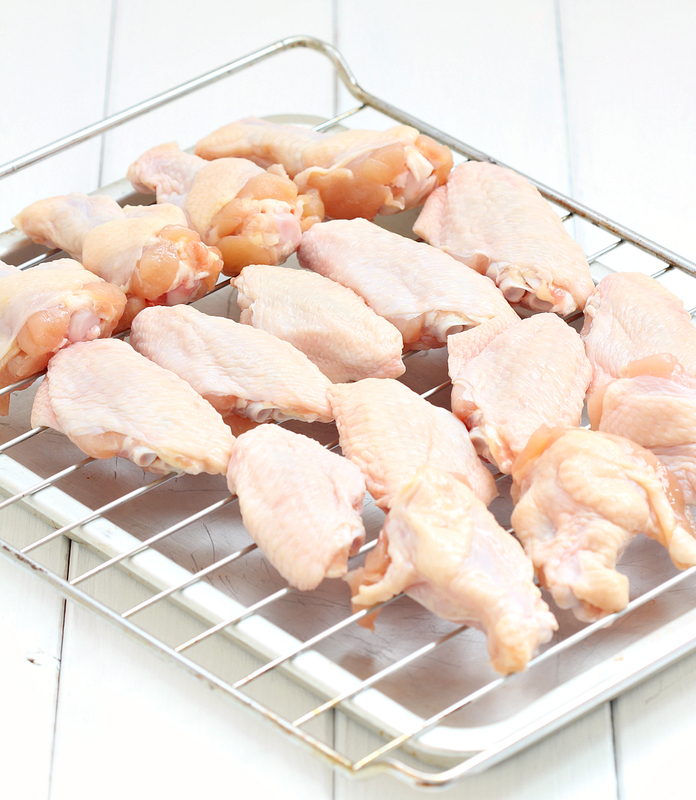 Line the lowest rack with foil to catch chicken drippings . * Preheat oven to 200ºC , upper heat only . * Using an oven mitt , take out grill and lightly brush with oil , arrange wings on top and put back in the oven . Bake for about 35 minutes , flipping wings after 15-20 minutes of cooking , until both sides are cooked through . Cooking time depending on the oven you're using . 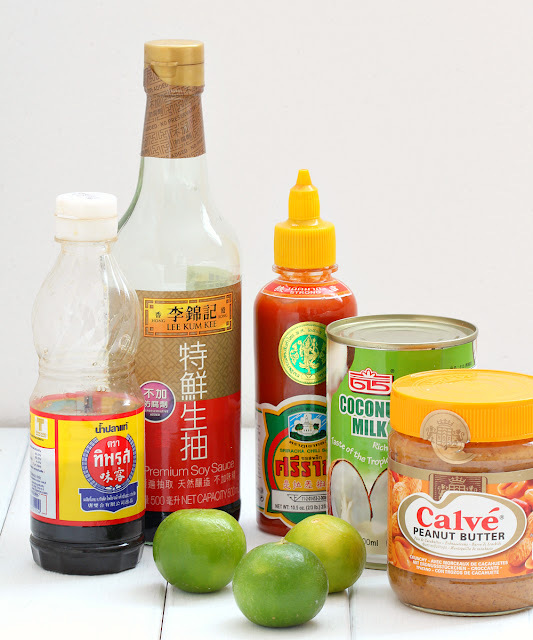 * When the wings are nearly done , make the peanut sauce . In a large bowl , whisk together the coconut milk , peanut butter , soy sauce , fish sauce , lime juice and the chilli sauce until smooth , adjust ingredients according to taste . 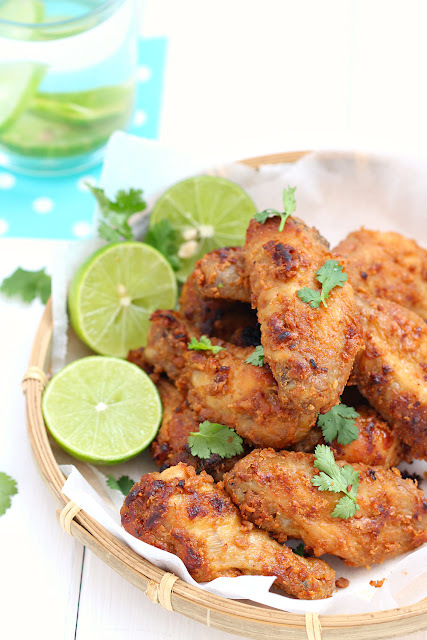 * Place wings into a bowl with the sauce and toss to coat . * Turn heat to the highest setting , ours is 240ºC . Place back wings on the the grill and put back in the oven . Bake for about 4 minutes on each side or until wings are lightly charred . * Serve hot . Perfect with steamed rice or noodles or with beer . They must be very yummy!